TCM's restoration of Houdini's The Grim Game will screen at the Barbican Centre in London on Sunday, October 11 at 4:00 PM. The film will have live piano accompaniment by Neil Brand. 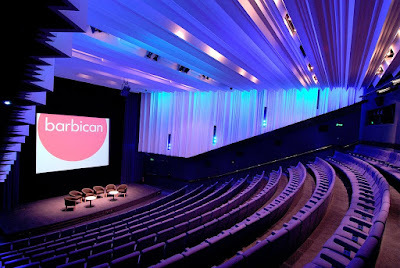 The screening will take place in the Barbican's Cinema 1. This is part of the Barbican's "Silent Film & Live Music Series." Reserved seating tickets can be purchased online. Having nowhere else to put this........I see on YouTube posted recently an extended version of Houdini doing card manipulations. A full 30 seconds worth! It's great footage. The full clip is over 2 minutes. I show it during my "Houdini in Hollywood" talk and it knocks people out. It can be found on the DVD set "Vintage Magic Films". Here's some background on it. Awesome. Piano accompaniment was improvised but to me it blended brilliantly with the film. I was mesmerised. I was riveted to my seat. (puns intended).